In the last few years, law enforcement agencies in the United States have dealt with more civil unrest than they have seen in decades. Since 2008, we've seen the Occupy movement, Black Lives Matter, and a number of other activist groups take to the streets in protests, protests that can turn violent. This has been a shock to American law enforcement officers who since the end of the anti-Vietnam War era have been more likely to experience sports-related riots than political unrest. 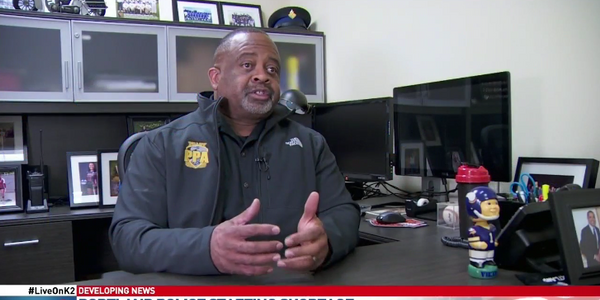 So now American officers are facing a new era of protest, but agencies are still using tactics and methods and training their officers to the standards of 40 or more years ago. I submit to you that the time has come for change in how American officers respond to protests and riots, and that you could learn a lot from your colleagues across the Atlantic. 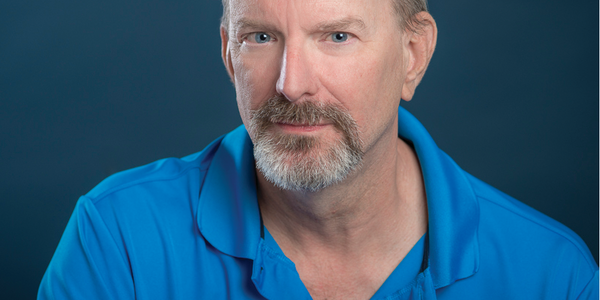 Before I explain exactly what you can learn from the experiences of your colleagues in the United Kingdom and Europe, let me say that the current mobile field force model of response here in the U.S. is dated and needs to evolve, but it still can provide a foundation that you can build upon. The current basic riot response has often been used as a sweeping response to resolve civil unrest issues in the U.S. However, it's important to note that not all protests turn into unrest. Law enforcement response to riots must single out the rioters and not trample on the rights of lawful protesters. So we have to be careful and cautious when using force in a crowd. Knowing how to respond properly is a matter of training. 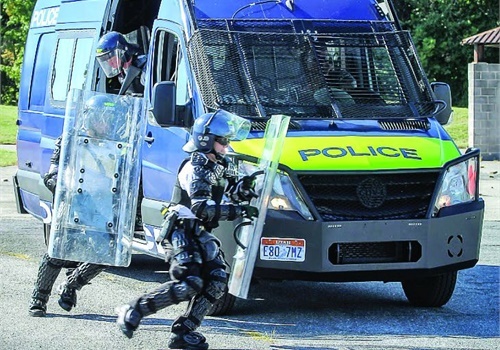 The first thing to consider when setting up a training program to build a civil unrest response team is selecting the right people for the job. Not every officer makes a great public order officer, just as not every officer is capable of being a SWAT officer. Everyone has strengths and weaknesses, and will react differently under varying stresses or situations. Once you have the right people, you need to give them solid training. Public order training needs to not only cover passive crowd control, but also needs to take officers out of their "comfortable bubble" so they will be able to deal with extreme and violent disorder in the correct manner. Training on how to respond to passive crowds needs to move away from the umbrella approach of "Helmets On, Sticks Out, Step and Drag movement" and instead needs to get back to training officers to stand the line in their patrol uniforms communicating individually and interacting with the crowd. It's important that public order officers be trained to see crowds not as a pack but groups of individuals, each person having unique attitudes and intentions. Because public order events can roll over into a number of endless hours and can be physically and mentally draining, agencies need to have enough personnel either on their own or through mutual aid agreements to keep the peace. Not all of these officers need to be nor should be trained to the same level. Basic and advanced training standards should also be set up and adopted. The basic level of mobile field force (MFF) training has been offered for more than 40 years. But now some law enforcement departments have taken it upon themselves to search out alternative advanced public order methods, equipment, and standards. A number of these departments have looked at British and European models, which have been created and refined through vast experience. They are now adopting a hybrid British, Northern Irish, German, and American model. 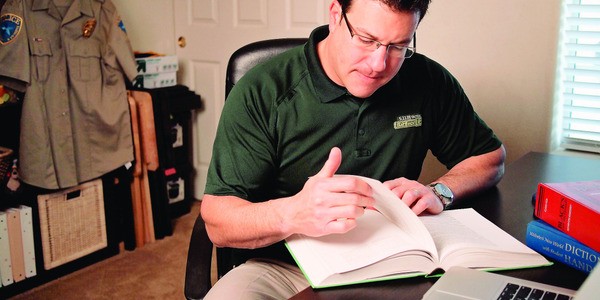 This includes high standards of equipment to mitigate the risks of injury in violent disorder. 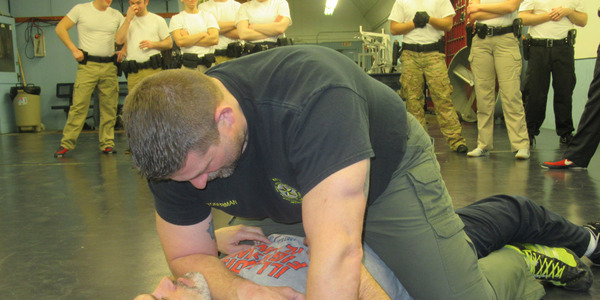 It also calls on officers to be trained in core function defensive tactics techniques, so they can perform hands-on procedures and use reasonable and necessary force. In this hybrid model, officers are introduced to de-escalation strategies and communication skills that enhance their ability to possibly change the outcome of a fluid and volatile situation. Scenario-based training and repetition of different outcomes helps them build confidence in the equipment and tactics used. 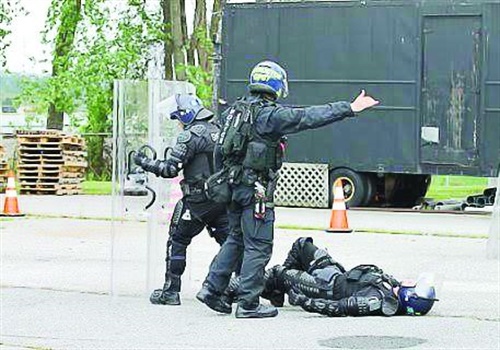 One of the key differences between the U.S. public order response training model and the British model is that in the U.K. chiefs and commanders have to attend a three-week-long public order cadre course where in addition to other training they go through highly realistic real world scenarios with the line officers. This results in the command ranks having an understanding of the capabilities of their teams to influence the outcome of public order events. At the same time, they learn how to oversee the welfare and safety of every officer under their command. In 2016 this hybrid public order response model was adopted by the Maryland State Police, the United States Park Police, the Montgomery County (MD) Police Department, and other agencies. In this model, officers who respond to protests and other civil unrest events are divided into three levels of training, standards, and responsibilities. Officers who are trained to stand the line in patrol uniform during peaceful protests are designated Level 3. Officers with a little more training and more protective equipment are designated Level 2. And officers trained and equipped to react to violent unrest are designated Level 1. Agencies that follow this model hand select volunteers who want to be considered for appointment to the Level 1 public order teams. A Level 1 team is a specialized police public order unit that has specialized personal protective equipment, gear, and vehicles. They also have strong motivation, and the highest levels of training. Officer fitness standards are very high for a Level 1 team. For example, they have to be able to complete a 1,000-meter run, carrying a riot shield, and wearing personal protective equipment in a time of five minutes or less. Some may argue that there is no need for such fitness levels for public order officers. 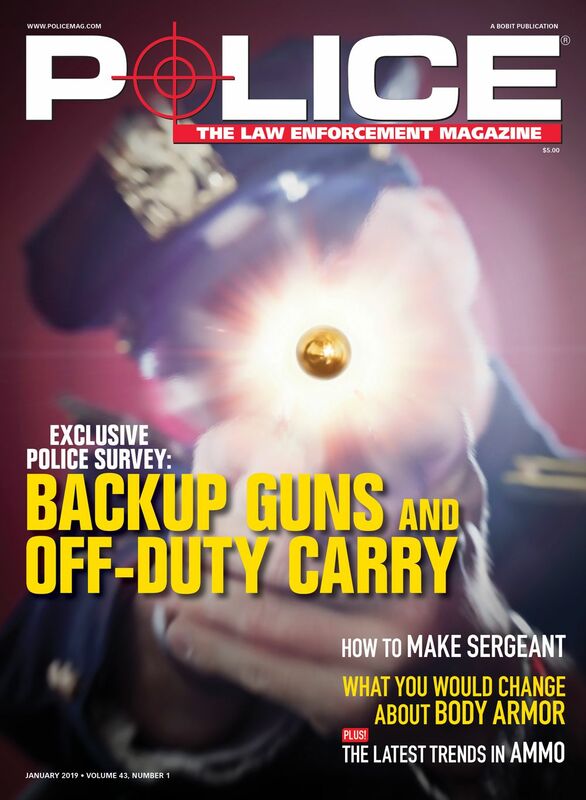 It can be controversial for law enforcement departments, chiefs, and unions to set a minimum physical performance standard for their officers in these roles. However, they also have a duty of care, not only to the individual officer participating but also to the well-being and safety of the public order team as a whole. A Level 1 public order team uses highly skilled small team tactics that can have a great effect on a vastly superior number of protesters. The members of this team need to meet a fitness level so they can face threats and still achieve their mission goals. We have to be honest with ourselves, extreme violent disorder and physical confrontation will take place during riots. The ability to deal with that violence physically and mentally is of paramount importance. And the fact is that when officers are not fit for the mission, they may resort to using an enhanced or excessive level of force to reduce the likely injury to ourselves or others. To avoid using excessive force or even appearing to use excessive force, a public order team needs training in physical defense, less-than-lethal-weapon systems and munitions, and legal powers. This training must be continually reviewed and must evolve to meet changes in law and moral constraints. Maintaining Level 1 public order team readiness is not easy. Officers have to be willing to partake in extreme stress, real-world scenario, and monthly in-service developmental skills training. Public order officers need to have effective personal protective equipment (PPE). Not all equipment is equal, which is why there have to be standards for personal protective equipment that meet the common threats officers face during violent disorder. 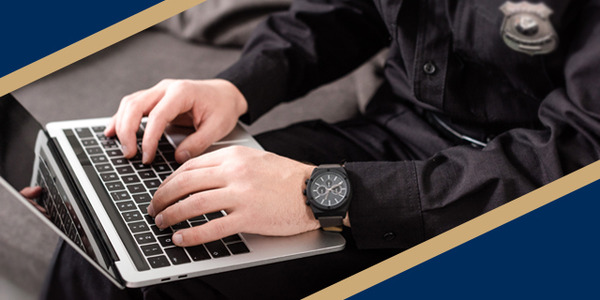 Officers who are correctly equipped and have ready access to that equipment when needed will have greater confidence in their own personal protection. Suitable PPE will put them in a positive mental state to deal with volatile situations. But officer confidence is not just about having the right equipment, it occurs because the officers are training with the right PPE under extremely stressful training conditions. Public order officers training in PPE should be exposed to Molotov cocktails, thrown projectiles such as bricks and bottles, and abusive language targeting them as individuals. The right training and PPE will condition them to react proportionately to real events. Equipment needs to meet a minimum requirement to protect officers so that when they are called in to deal with violent disorder, they will be protected from many of the threats they will be exposed to. 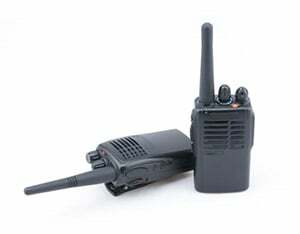 At this time, however, there is no established U.S. protection standard for this equipment. Looking at lessons learned by foreign law enforcement, who see violent public disorder on a regular basis and have already established protection standards, we can adopt the same. And I think this is the wisest option until a new commonly agreed upon standard can be set for the U.S. The current British standard covers the individual officer from head to toe. The helmet is of a non-ballistic type that takes high impact blunt trauma from both pointed and blunt objects such as a brick thrown at 40 mph. It should also have the ability to shed burning gasoline and protect the full face against threats from projectiles and fire. A fire-resistant balaclava should be worn under the helmet in the event of Molotovs being used against the officer. This balaclava is not to conceal the identity of the officer but instead to protect against injury. 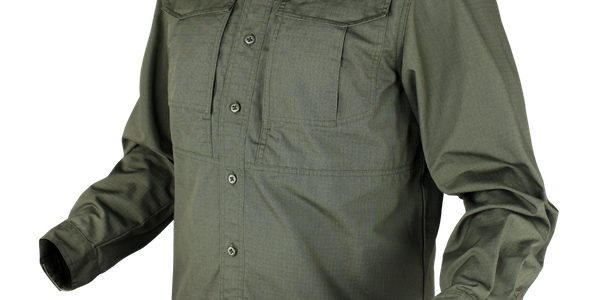 On the officer's main torso, they should wear a Merino long sleeve, long pant base layer. This will help regulate the officer's core temperature in extremes of heat and cold. They will also wear protective limb and groin guards that will protect them from bricks and other projectiles thrown at 40 mph. Over the top of the base layer, the officers will wear a burning gasoline shedding over suit. This protects the officers and it conceals the presence of the limb protection and armor, so the officers do not appear paramilitary. Each officer in the team will have the option to wear either covert or overt ballistic body armor. Officers' feet and ankles should be protected by a public order boot. These boots will be rated to stop punctures by nails and glass. The top and side of the boots must be rated to protect feet from bricks and other kinetic objects. The whole boot has to be fully fire resistant with the ability to shed burning chemicals. Public order team gloves need to be impact-, slash-, and fire resistant. But they also have to give the officers enough dexterity that they can proficiently operate firearms and execute hands-on defensive tactic and subject control skills. For gear, each officer should carry a hydration system, communication system, personal Halotron fire extinguisher, sidearm, 24-inch acrylic baton (or equivalent), and according to the SOPs of their agency the rest of their personal protective tools such as a TASER, OC spray, or other tools. 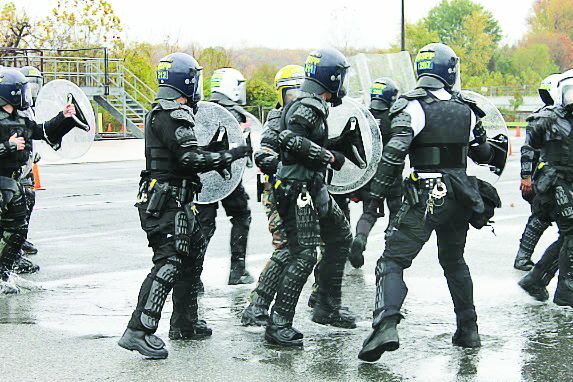 Shields are extremely critical for a Level 1 public order team. Each officer needs to have access to varying types of Makrolon shields. Makrolon is a type of gasoline shedding high-impact polycarbonate. 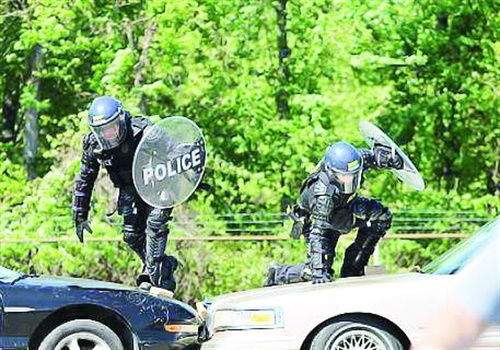 Polycarbonate riot shields come in a 6-foot, 4-foot, and round shield configuration. They can protect the officers from an enhanced threat from handheld weapons such as axes, baseball bats, machetes, and even samurai swords. When acquiring PPE and gear for your team, be aware that not all equipment is equal. One officer injured is one officer too many. Some may argue that with the types of threats mentioned above, we should have the ability and the right to use a higher level of force. This can be a controversial subject where emotion can steer decisions. A stalemate and frustrations with the crowd can result in the use of multiple types of crowd dispersal munitions that can cause unnecessary punishment to whole communities or attendees at events. Tear gas/OC is commonly the fallback option for dispersing most protests that have turned into a state of disorder. This has pros and cons. Yes, it can be effective. Yes, it can disperse some members of a crowd. However, it can be detrimental to those who are not committing offenses who are inadvertently caught up in a location where disorder is nearby and those munitions have been used. 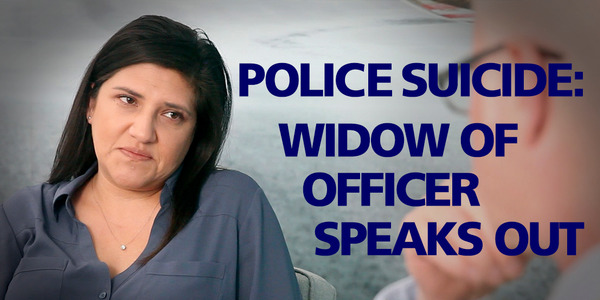 It can affect unprotected officers. It can cause alarm and distress to children and the elderly who may have breathing difficulties. And it can also cost an agency or city financially due to decontamination and civil lawsuits. There are some agencies worldwide that have moved away from this type of munition in favor of the dynamic action of small team tactics. Some of the modern less-than-lethal weapon systems available to law enforcement for crowd control in violent situations can be extremely effective. But proficiency through training is essential, and such weapon systems need to be highly accurate and used only against individuals committing violent offenses who we intend to arrest. A policy of indiscriminate targeting of a crowd is unacceptable in today's policing practices. All officers should remember that every action they take will be recorded by either the media or individual citizens. Public order in the 21st century must evolve from the lessons learned in the past century where some inappropriate action by poorly trained officers resulted in negative views of how the police dealt with minority groups protesting under their First Amendment right. We must get better at separating anarchists and violent agitators from peaceful protestors who are following the law and facilitate the ability for peaceful protestors to protest safely and without fear of retribution from police and federal agencies. We must also accept that we need specially trained and specially equipped public order officers to deal with the ever-increasing workload of protests now happening nationwide. Training and equipment must be improved to protect both officers and the citizens during this demanding time. Geoff Perrin is former British Army and a London Metropolitan Police Officer who served as a Public Order Level 1 officer and instructor. He is now a U.S. citizen and a partner in Survival Edge Tactical Systems Inc. (survivaledgetactical.com), training officers in the U.S. in public order response.